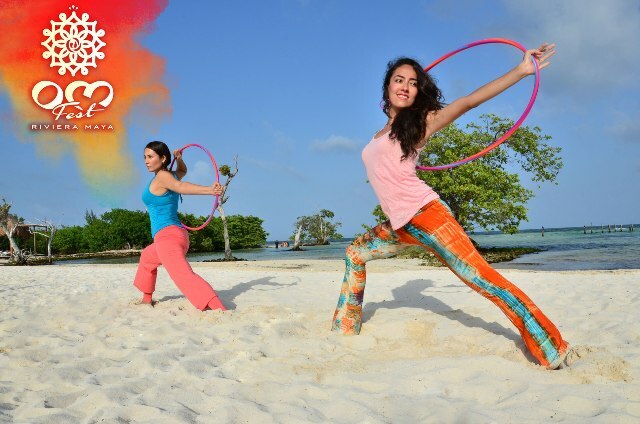 Hacienda Tres Rios Resort, Spa & Nature Park is thrilled to be hosting Om Fest Riviera Maya 2014 October 10 -12, where yoga will be celebrated through classes, workshops, conferences, meditation, mantras, music, dancing and an exposition area. There will be a special performance by singer, musician, scholar, dancer and yogini Paloma Devi on October 10. Advance tickets are $250 mxn. There are various all inclusive packages available for Om Fest. Events can be purchase individually. For more information and reservations, please call 01 (800) 159 5002 from Mexico or 1 800 680 1502 from the United States and Canada. For further information, look for Om Fest’s official social media accounts: Facebook, Twitter, Youtube and Instagram, #BeYogi, or visit http://omfest.mx/en/contact/.